The first-time homebuyers’ jubilance can be infectious. Everything is new, from the space surrounding them to their feelings inside. “We’re so happy — very, very pleased,” says Amanda O’Brien, who, with her husband, Evan, recently purchased their first home in South Burlington, just off Dorset Street. The Campbells and the O’Briens are all in their thirties — the so-called “Millennials” — and their generation still accounts for the largest share of homebuyers in the U.S., at 26 percent, according to the National Association of Realtors (NAR) 2017 Profile of Home Buyers and Sellers. In 2017, the share of first-time homebuyers was 34 percent — a slight dip from 35 percent in 2016. Overall, this bucks the historical norm of 40 percent of the market. As first-time homebuyers, Millennials face challenges in the current housing market, where inventory is tight nationwide, causing the prices of homes to jump; and many Millennials carry unprecedented amounts of student debt, which can delay plans to buy a home. In northwestern Vermont, though, opportunities exist to settle into that first home, but it’s vital to tap into a professional first, such as a knowledgeable and creative Coldwell Banker Hickok & Boardman (CBHB) agent, especially in the current market, according to the Campbells and O’Briens. Matt Campbell had owned a home prior to the one that he and Katie bought together, so he knew about some the preparations necessary, but he and Katie still sought the advice of CBHB Agent, Michaela Quinlan. Katie and Michaela have known each other since childhood, and Matt grew up near Michaela’s father, in South Burlington. The Campbells knew what they wanted: four bedrooms, two bathrooms, two floors, a basement, and a decent-sized yard for their dogs and children: Dennis, who is 19 months old, and a daughter expected at the end of this June. They have been married for 2 1/2 years and together for five. Matt bought his previous home in 2009, after moving back to Vermont from Boston. He and Katie lived there together for three years. The whole purchasing process took about 12 to 15 months, from the first search online to the closing date. The Campbells physically looked at 10-plus homes and viewed hundreds online. Matt saw “the one” (property) early on a Saturday morning, and they were in a multiple-offer situation by midweek — another common scenario in the current housing market. The O’Briens also rose to the top of a multiple-offer situation. They saw their home listed late on a Friday afternoon. They toured it on Sunday. Multiple offers came in on Monday; the sellers made a decision by the end of that day, and the O’Briens closed on the property less than two months later, with the assistance of CBHB Agent, Betsy Forrester. Be prepared: It’s the advice that Forrester, Quinlan and all our agents offer most to first-time homebuyers, who should look at their finances and meet with a mortgage lender to first determine a comfortable mortgage payment. Also, Forrester says, realize that finding a home involves compromise of the “must haves” and the “like to haves.” Finally, she and Quinlan say it is important to be patient, and not take the bidding process personally. “Purchasing a home is a process, and sometimes it takes a while for everything to come together just right,” Forrester says. The O’Briens rented before buying their first home, as did 73 percent of other first-time homebuyers in 2017, according to the NAR. Evan, who is an attorney, is a Manhattan native. He and Amanda, a Rutland native, met in college and had rented in pricy New York City before deciding it would be more cost-effective — and better to be closer to family — if they settled back in Vermont and bought a home. They, too, had a checklist of “wants” and “needs” that is typical for first-time homebuyers in their generation: lots of efficiencies, little maintenance and renovation, and proximity to an urban area with several amenities. They started saving for a house and preparing for their purchase even before returning to Vermont. “It made things quite a bit easier,” Evan says. Forrester educates first-time homebuyers with no home maintenance experience — especially those that have rented first — to “look beyond the sparking new kitchen or Pottery Barn-style living room” and consider the overall structural quality of the home, from the roof to the furnace. “If buyers are stretching to be able to afford a home and the roof needs imminent replacement, then they need to be prepared for that expense soon after purchase or move on to find a home that likely won’t need major repairs until further into the future,” Forrester says. Younger generations are renting longer, even though renting is expensive, but buying a home is still a better long-term investment. Both the Campbells and the O’Briens tend to stay in their homes for several years, which is another growing trend in the current housing market: More people are staying put longer — about 10 years in their home, as opposed to the traditional average of seven. 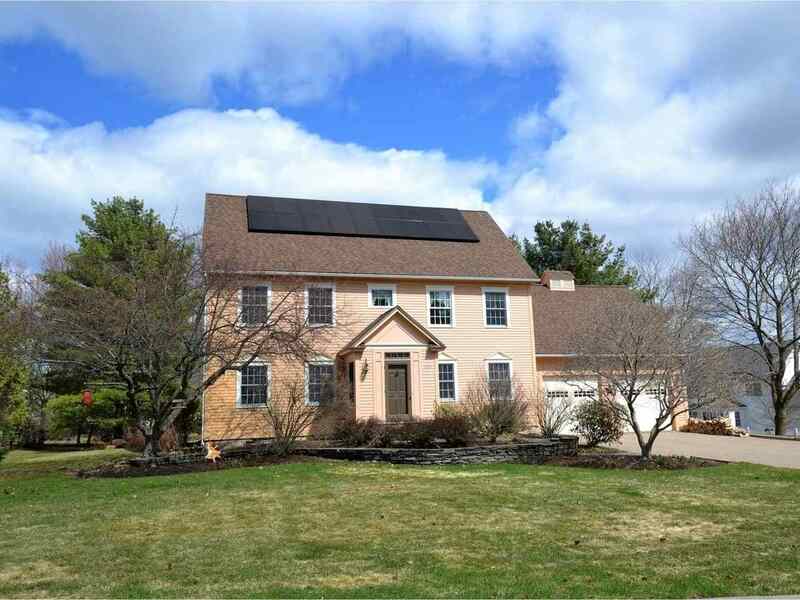 4 bedroom, 4 bath Shelburne Village home boasting quality updates, finished basement, ample 3rd floor, and luxurious master suite!